At last week’s RSA Conference in San Francisco the Cloud Security Alliance (CSA), which is the world’s leading organisation dedicated to defining and raising awareness of best practices to help ensure a secure cloud computing environment, released its newest research report entitled “A Day Without Safe Cryptography”. “The effect of broken encryption tools and services cannot be overstated. 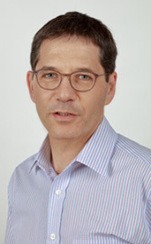 If bad actors can overcome current defensive objectives, it will threaten every aspect of our daily social, business and governmental activities, the operational and economic impact of which may take years to rebuild,” said Bruno Huttner, Quantum-Safe Security Working Group co-chair and Director of Quantum Space Programs in the Quantum-Safe division of ID Quantique. What does the paper explore? How will quantum computing place existing cryptography and encryption at risk? What will quantum-safe encryption look like and what are the next steps forward? The work of the Quantum Safe Security Working Group addresses critical generation and transmission methods to help the industry understand quantum-safe methods for protecting their networks and their data. The Working Group examines two differing technologies: Quantum key distribution and Post-Quantum cryptography.